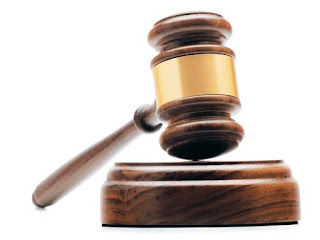 MASVINGO-Jesca Murinye, 45-year-old woman from Farm 262 Clipsham, Masvingo, was arraigned before, magistrate Peter Madiba after she was found in possession of 0.07 grams of dagga and unlawful entry. She was ordered to perform 105 hours of community service at a local school after she pleaded guilty to both counts of unlawful entry and stealing building material valued at US$163. It was the State's case, as presented by Edmund Mapope, that on August 23, the accused was found operating a tuck shop after a notice of withdrawal had been tendered by the accused person's husband Kumbirai Madyira. She was later on given an extension to August 27 to vacate the premises since she had no agreement with the ministry to operate the business. The court heard that on September 1, she unlawfully entered a cottage in Clipsham and took nine 12-feet roofing iron sheets, three roofing gum poles and two exterior doors belonging to and went away. A police report was made after the security officer manning the cottage noticed that the building material was missing. Investigations were made leading to Murinye's homestead where the stolen property was recovered. Upon arrival, the two police officers who were escorting Murinye to her homestead entered the accused person's spare bedroom where they recovered the goods and also discovered a white plastic containing dagga.